Shirts With Random Triangles: Auburn athletic director Jay Jacobs "not right now OK" with the idea of beer sales at Jordan-Hare Stadium. Auburn athletic director Jay Jacobs "not right now OK" with the idea of beer sales at Jordan-Hare Stadium. 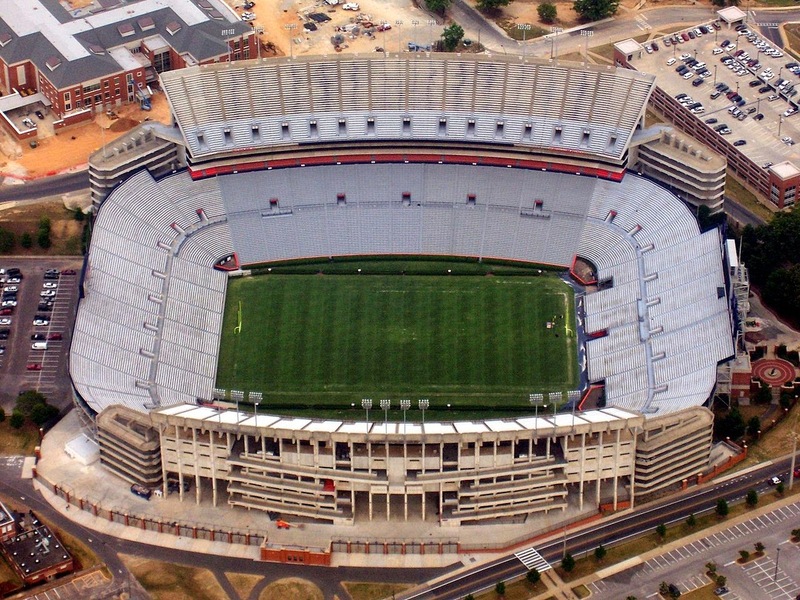 Jordan-Hare Stadium. Photo via Wikipedia Commons. Don't count on seeing beer sales Auburn home games any time soon. Auburn athletic director Jay Jacobs isn't really keen on the idea of selling beer at Jordan-Hare Stadium on fall Saturday afternoons and/or evenings. At least not at the present time. "I'm not right now OK with that," Auburn athletics director Jay Jacobs said last week at the SEC's spring meetings. "We're doing so many things to enhance the game-day experience, but times are also changing as well." The sale of alcoholic beverages at college football stadiums has been a touchy issue in the past, especially when it comes to the issue of consumption of alcohol by students under the legal drinking age. Some schools are bucking the trend, however. Most notably West Virginia. Current SEC policy prohibits the sale of alcoholic beverages in the public areas of member school's stadiums and arenas. It is allowed, however, in club seating and in leased areas.